WeChat boasts 3 million users in Australia by some estimates, with more than 1 billion people using the platform globally. Even if those figures are generous, that suggests a massive audience for marketers to engage with. What makes the opportunity compelling, however, is the way consumers engage with WeChat. “Users they seem to run their lives on WeChat, and that includes paying for everything,” says David Thomas, an Australian-based expert on doing business with China. “Everything has become WeChat-enabled, and that has happened in the last two or three years. Thomas says that user population also includes more than 100,000 daigou buyers in Australia, who are purchasing and shipping items to the Chinese mainland. Another attribute of the WeChat audience is only 1.2 million Australians nominate their ancestry as Chinese. Thomas says this indicates the majority of WeChat users are not Chinese speakers. Some western brands have cottoned on to the emerging WeChat opportunity, including fashion retailer, PAS Group and L’Oréal. Another is multicultural marketing and advertising agency MultiConnexions, who see compelling attributes within the Australian user base. “These guys are tech savvy and very social media savvy – way ahead of anybody else,” says MultiConnexions CEO, Sheba Nandkeolyar. “And they are very much into this space. They just about do everything in this platform, which is a highly unusual thing. MultiConnexions recently worked with Event Cinemas to create a campaign based around the Chinese Autumn Moon festival. According to Event Cinema general manager for customer experience, Alexandra Holden, the growth of the Chinese movie-lovers audience led the company realise it needed an effective way to deepen its relationships and communicate with them about both Chinese films and Hollywood blockbusters. “WeChat was the obvious first step towards developing this relationship, as it allowed Event Cinemas to have a two-way conversation and really engage with our Chinese friends in-language,” Holden tells CMO. “It was important to really understand the Chinese audience properly, to be able to engage with them effectively. We have worked hard on this and benefited tremendously from the guidance of our agency partner. MultiConnexions’ campaign involved influencers and key opinion leaders engaging through Autumn Moon-themed activities, including a competition and red-carpet movie screenings. The agency provided account management, language development, advertising, media and creative services for the campaign, which ran across both WeChat and the Weibo messaging service. According to MultiConnexions public relations and social media manager, Katrina Hall, the campaign led to a follower increase for Event Cinemas of more than 250 per cent. More importantly, the campaign had an estimated reach of more than 6.8 million people. Hall says the critical factor when engaging through WeChat is understanding audiences involved and what they respond to. She believes the campaign worked due to its combination of timing and relevance, including the use of culturally relevant imagery and messages. “We believe consistency is key to a meaningful relationship with the Chinese audience,” Holden says. 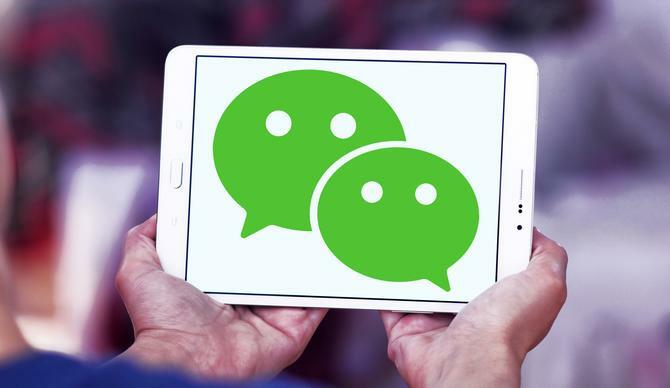 “We are looking forward to rolling out a number of great new incentives, promotions and campaigns through WeChat and Weibo, especially around key Chinese cultural, retail/entertainment and festival periods.